The scientific name of Axle Wood Tree: Anogeissus Latifolia Wall. 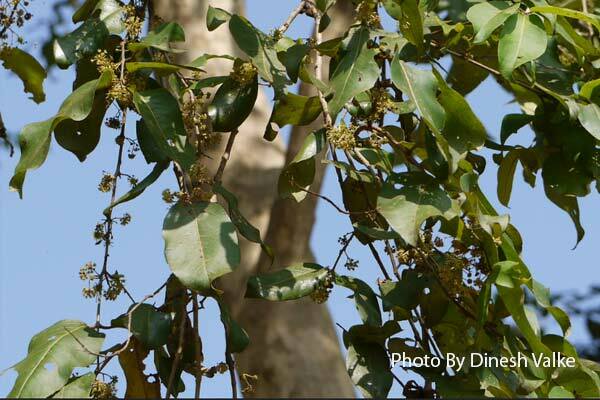 It is a medium-sized tree, grow to 20 m tall.Trunk straight, Bark is smooth, dark gray. Branches drooping.The leaves are arranged oppositely, simple, margin entire, with grayish-yellow hairs below. flowers are Stalkless, borne in dense, spherical heads on stalks in leaf apex or at the branch ends. Flowers are small, pale yellow. Wood, Bark and gum (Ghatti or Indian gum). Flavonoid,tannin, glycosides alanine, ellagic acid, quercetin, myricetin, trimethyl ellagic acid.